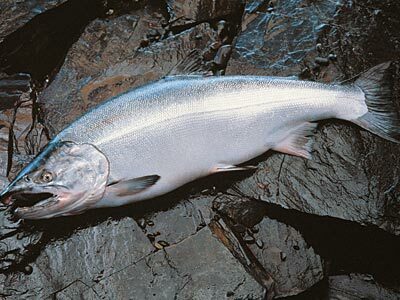 The wild salmon spawned and reared in the Tongass National Forest represent approximately 70 percent of all wild salmon harvested from our national forests, roughly 24 percent of Alaska’s overall salmon catch, about 30 percent of the salmon caught on the West Coast of the United States and close to 13 percent of the salmon harvested on the Pacific Rim. 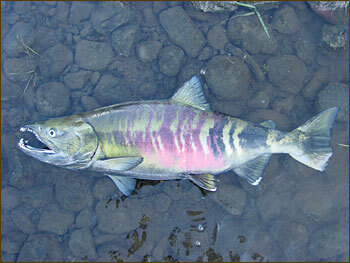 Test your Tongass fish identification skills! 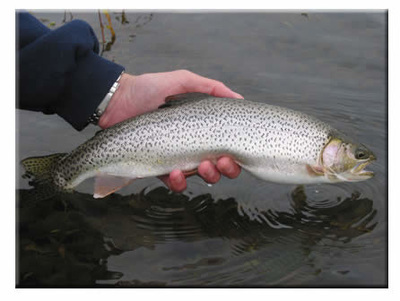 Hover over the images below for the correct species name. 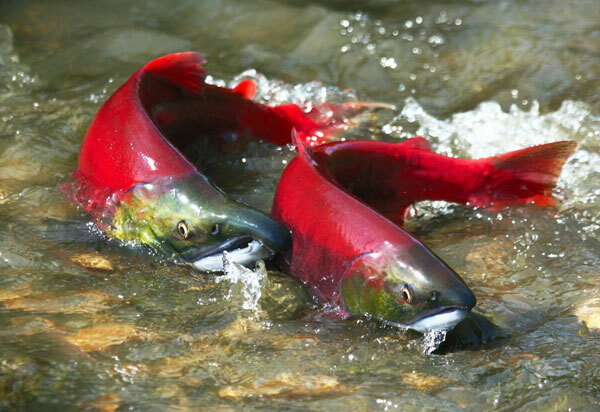 According to the U.S. Forest Service, the Tongass includes roughly 17,000 miles of clean, undammed creeks, rivers and lakes that provide optimal spawning and rearing conditions for the region’s copious wild Pacific salmon and trout. All five of North America’s Pacifc salmon species are found in the Tongass National Forest: Chinook (Oncorhynchus tshawytscha), coho (O. kisutch), pink (O. gorbuscha), sockeye (O. nerka) and chum (O. keta). 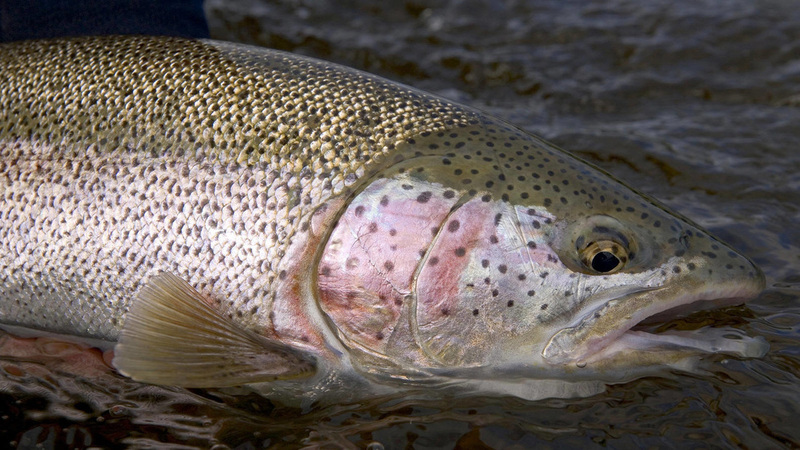 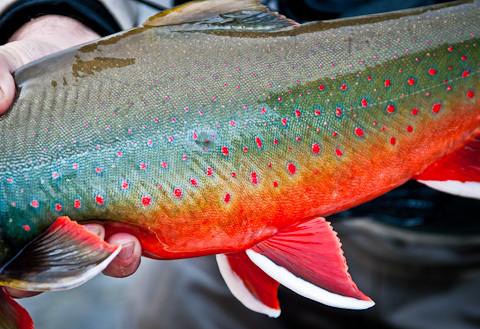 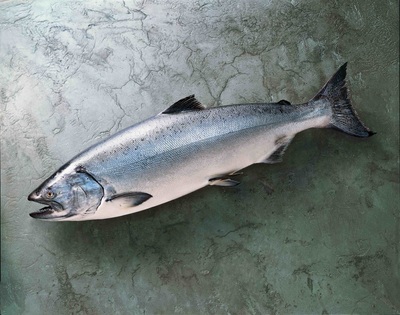 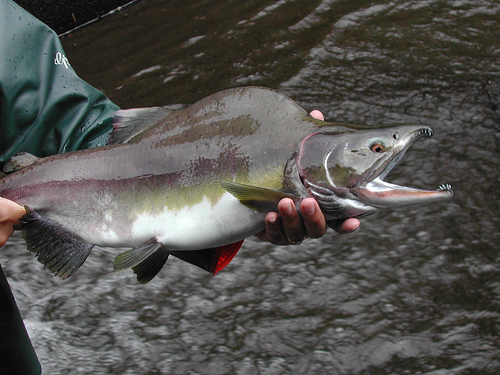 In addition to the salmon, the Tongass supports healthy populations of both the resident and anadromous forms of rainbow trout (O. mykiss), cutthroat trout (O. clarkii), and Dolly Varden (Salvelinus malma).